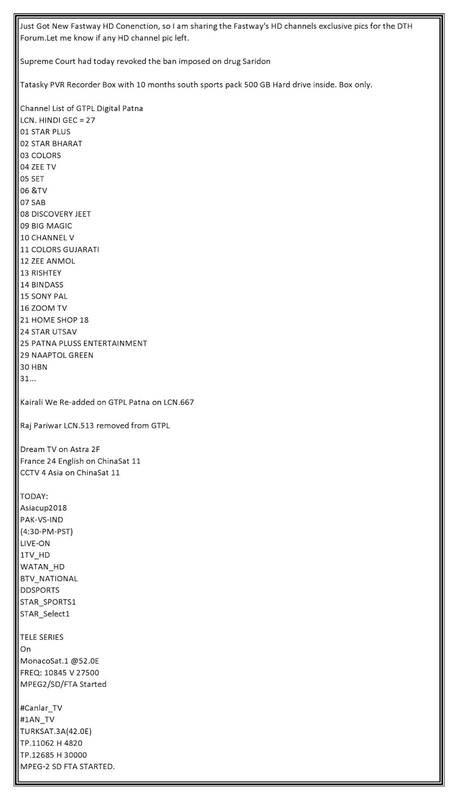 Just Got New Fastway HD Conenction, so I am sharing the Fastway's HD channels exclusive pics for the DTH Forum.Let me know if any HD channel pic left. Tatasky PVR Recorder Box with 10 months south sports pack 500 GB Hard drive inside. Box only.